How do you communicate with patients with whom it seems you have little in common? You know by now that cross-cultural communication matters to outcomes. But it is complex work that merits support. In this episode, you’ll learn about the easily-overlooked first step in cross-cultural communication. And it’s something you can do on your own. Hi. This is Ten Minutes to Better Patient Communication. I’m Dr. Anne Marie Liebel. An OB-GYN and I were talking about a recent presentation she’d seen from a leader in her field. I heard in her voice how much she’d enjoyed the presentation, and we spent some significant time talking about it. She was encouraged by this physician’s thoughtful comments on some of the complexities in physician/patient communication. She was especially interested in issues he’d raised around empathy, being present, and the emotional contexts around communication. One observation she made stood out to me, as we were discussing her thoughts: “Any conversation about care is also a conversation about culture,” she said. I would like to take some time to consider this statement, in light of the attention being paid lately to various issues of cultural difference and diversity. And as usual, I’ll end with something you can do today: two things, really. 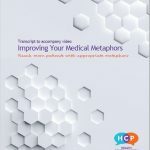 Two ways you can take that important first step toward speaking respectfully and connecting meaningfully with all patients–including those who don’t look, sound, or see the world like you do. How do you communicate with patients with whom it seems you have little in common? It’s a big question. According to PubMed, an average of more than 3300 articles per year, over the last ten years, have been written on cross cultural issues such as communication, care, interaction, adaptability and measurement. This isn’t a problem unique to medicine, of course. Talking across difference happens in any human relationship. It might go without saying that, in medicine, cross-cultural communication training is helpful. 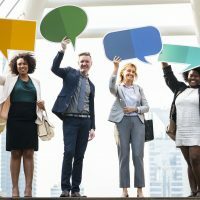 Physicians who are trained in specialty-specific conversations benefit when cross-cultural communication is added in, as found in a recent study in pediatric hematology/oncology fellows and another study on primary care physicians and pediatric asthma Links to those research papers in the show notes. When cultural differences are missed or ignored in communication, outcomes suffer. As a recent study points out, “Ineffective cross-cultural communication contributes to adverse outcomes for minority patients.” Similarly, another article on cross cultural communication for pharmacists asserts that “failure to recognize these differences may contribute to misunderstanding or miscommunication that may affect treatment.” Providers like you, and medical educators like you, are noticing that cross-cultural communication matters. And you’re asking for support. There are some popular models for cross-cultural communication, with new ones being developed for in-person and online formats. This broad agreement and enthusiasm around cultural issues in communication is essential, in the face of the many challenges to cross-cultural communication in the health sector. Even from my position, I have sensed the tension in engaging in talk about difference, when medicine is focused, perhaps necessarily, on standardization. There is enormous pressure, as many physicians have told me, to be entirely error-free somehow, self-sufficient, and—as one physician put it–nearly “superhuman.” It’s possible that providers are not always encouraged to talk about their communication ‘fails,’ or to ask critical questions of themselves or others. It doesn’t help that many providers interact with patients in situations where they are the only provider present. So these cross-cultural conversations are unintentionally hidden from view. Among other things, this can make them difficult to talk about with your peers, and easy to sideline in favor of more visible issues. I’d like to help by drawing your attention to the crucial first step in communicating across difference. One step that can be easy to overlook. And it’s one you can do on your own. As I’ve talked with health care professionals about communication and culture, it’s been great to hear a high level of awareness about the importance of seeing the patient’s perspective. This is essential. Our understandings of the world – including our inaccurate or inadequate ones – are based on a lifetime of our own experiences, and on our membership in different social groups. We’re all always pulling on the collective knowledge and experiences of our ‘cultures’ to inform our words and actions. These are cultural norms that we may or may not be aware of. As I’ve said before, our language reveals our perspective on what linguist James Gee calls “being ‘normal,’ ‘acceptable,’ ‘right,’ ‘real,’ ‘the way things are,’ or ‘the ways things ought to be.’” Language thus becomes a marker for what’s important to us, or for what we take for granted. And this often happens without our notice. For example, I explored in an earlier podcast the different–and entirely context-appropriate–uses of the terms “pee pee,” “pee” and “urinate.” Depending on who you are, and what your situation is, one of those terms works for you. The others would be…a bit off. This is just a quick reminder that being aware of our language, and the sometimes-invisible influences on it, is important. 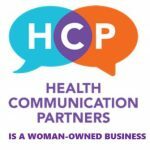 If you would like some support on this, please contact me at healthcommunicationpartners.com And you yourself can begin this process right now, on your own–by examining some assumptions about your own communication with patients. And not only patients where there’s a cultural difference; patients of all kinds of backgrounds. Because this communication, as I’ve pointed out, has been shaped by your history, and the various personal and professional cultures you belong to. Which patients do you find it difficult to get along with, or relate to, or reach? What do you think it is about these patients, that makes those interactions difficult for you? What might this tell you about your attitudes and assumptions regarding patient communication? I’ve adapted these from an earlier article about reflective practice at healthcommunicationpartners.com .) I also have a podcast on it, links in the show notes. And if you want to go further, again reach out to me. As my physician friend at the start said, “Any conversation about care is also a conversation about culture.” She, and many other providers I have met, recognize their responsibilities to all patients, as well as the challenges and promises of culturally-responsive communication. And they want to grasp their opportunities to grow in this arena. I’ll assert that no one, including me, can ‘empower’ you to respond appropriately—as nice as that sounds–to the myriad cultural differences between you and the patients you encounter across your whole professional career. You can interrogate your communication—including the assumptions beneath it. Then, it’s down to you, to choose the appropriate words and actions for your specific context. This process can be aided and supported with expert help, outside information, and additional resources. And, I highly recommend, a community of practice of colleagues who also understand every encounter is a cultural encounter. For Health Communication Partners, I’m Dr. Anne Marie Liebel. This has been Ten Minutes to Better Patient Communication.